Available ship cutting scrap mainly plates for sale in bulk. 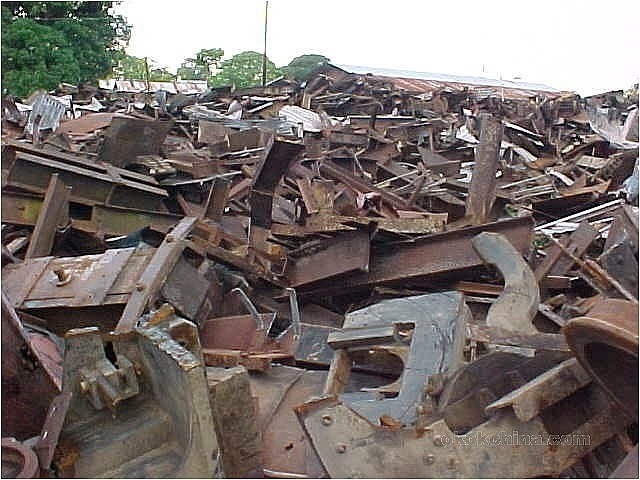 We are service providers and are regular suppliers for metal scrap in India. Currently we are supplying ship cutting plates in break bulk from East Coast India. The ships are being cutted in India and cutting and loading is in owners account. The ship plates are available in various sizes like 2x2, 3x3, 4x4, 5x5 etc. Daily supply is around 200 MT to 300 MT The scrap plates are being cutted from old ships which are no more in service. The supply location is near Vizag, and the scrap can be easily transported to nearest factories in south India. It depends on the metal scrap buyer where he requires transporting the scrap metal. Special dimension cutting is also available on demand. Total quantity is around 6,000 MT right now. Interested clients do contact us for availability as we maintain regular supply from our various sources. The Scrap is obtained directly in auction done by factories, stockiest, construction companies, etc. The supply of Scrap will be made available from variouslocation. No single source for supply will be committed. In case, client requires that the supply to be made from single source, extra charges will be applicable. Most of the scrap is obtained from the fabrication works carried out at industries for repair and maintenance. These scrap is mainly sold either through auctions or direct purchase either huge quantities or small volumes. Scrap is also obtained from construction companies which is mainly dismantling of used construction machineries which are no longer in use and also jumbled TMT bars or cuttings are also purchased in auction. The scrap is 100% melting scrap and consists of HMS – ½ which can be sorted into heavy and light metal scrap on extra cost. Most of the scrap supplied is on daily basis ranging for quantity 15 tons per day to 50 tons per day depending upon the availability of material and transport. The Scrap we supply is completely free from any impurities, foreign objects, free from radioactive material and also from of all kinds of rust or oil / paints. All loading and transport procedures and cost to be handled by purchaser. Daily loading and supply is possible and is more economical then stocking and supplying. With rise in demand for scrap metal, most of the scrap dealers and scrap yard owners supply on daily basis. In case, long term commitment is required, it can be met against payment instrument equal to required quantity. The metal scrap prices in India are strengthening and the weaker dollar attracting more and more imports in containers and break bulk. The trading of metal scrap is a lucrative business and demands huge investment as well as time and efforts for dismantling, transporting, stocking and supplying to customers. 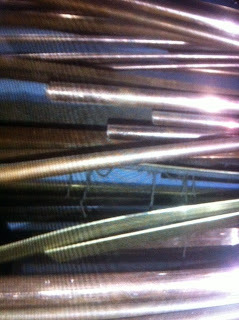 Huge quantity of scrap metal is still lying hidden from customers who really know the actual value of the left over bundles in garages and basements. Most of the metal scrap yard owners depend upon small dealers who provide scrap pick up facilities on door to door services. These scrap pick up services also not aware of certain left over scrap stocks at grades, construction sites, repair and development sites. The other major reason affecting the metal scrap business is increase in theft and robbery cases. Some countries are implementing new rules to avoid the theft cases and special instruction is made available to metal scrap yard owners and exporters. Municipal scrap is also exported and is major income source by some municipal cooperation in Europe. The scrap is clean and free from any foreign impurities or radioactive material. Fully certified under European standards, the scrap now is in huge demand by small furnace owners in India. Heavy metal scrap is in demand around the globe, mostly by India, China and Turkey. The developing economy of these countries is showing its rising hunger for more iron metal scrap for their ongoing developments. Melting Scrap commonly known as MS Scrap is regularly supplied and imported in India as well as in various countries. The scrap of origin America and Europe along with CIS states are supplied in break bulk as well as packed in container. Orders are booked by traders and dealers for iron metal scrap mainly consist of HMS Scrap, Melting scrap, Re rolling scrap which is in high demand. The metal scrap is stocked only against valid orders and supplied to authentic customers. Minimum booking order is not less than fifty metric tons and payment terms is hundred percent at sight letter of credit. The payment instrument should be issued from any prime banks based at Europe. Suppliers and service providers of Aluminum scrap based in India. We supply aluminum scrap originated at overseas locations and is supplied on regular terms to user and traders of aluminum scrap in India. The scrap supplied by us is with 98% purity and 2% attachment or slag. Scrap such has cleaned car engine body parts, punched radiators, taint tabor scrap, and etc is available in stock. Our overseas scrap yard owners maintain regular stocks of aluminum scrap and are supplied to authentic buyers across world against valid demand. Bottle and CAN aluminum punched scrap is also supplied on demand. These punched scrap is available with purity of 95-98% depending upon the impurity contents like paint, dust and other foreign metal. These cans are mainly used cold drink cans or beer cans which are collected and punched into boxes, stuffed in containers and supplied to required clients. Other aluminum scrap like cast aluminum scrap is obtained from car and bike engine body parts, which are properly cleaned and supplied. Rough parts as whole engine or electronic part is also supplied which will have yield of max 45% to 60%. We supply scrap on payment terms of 100% at sight LC issued from prime or nationalize banks. Deliveries are made in 20ft containers and supplied on CNF Terms to all major ports in India. Interested clients do contact us for price and other details. Minimum order not to be less than 50 Tons and first shipment can be made possible in thirty days subjected to shipping terms. The scrap mainly consist of plate cuttings, profile cutting, factory dismantle scrap etc. The scrap offered is pure ferrous metal scrap and is 100% hms 1-2. No foreign metal impurities involved. The metal scrap is available on daily supply basis No ready stocks and in case buyer wants to stock, then stocking charges will be extra. Scrap for sale available in daily basis. Prices can be fixed against authentic purchase orders and payment securities. Available scrap for sale on daily supply terms. The scrap consist of mainly factory dismantling scrap, heavy vehicle scrap , angle channels etc. Interested buyer do contact us for price and availability. Transport to be in buyer account or as per actual. Quality : Cu 99% Copper Scrap Recovered from dismantling We are service providers for supply copper scrap in India. Copper scrap available in lots in India. We offer copper scrap on regular supply terms for interested buyers. Offers are available for copper scrap obtained from dismantling of equipments plants and machinery. The scrap is pure metal scrap free from any kind of impurity. Packing available in loose bulk. Interested buyer need to purchase the entire available lot. No partial supply or sales is available. Most of the copper scrap we supply are sourced from owners in India and also offers small lots of imported scrap which importers are interested to sell in open market. Presently available copper scrap obtained from dismantling of refrigeration systems, air conditioners, etc. Quantity varies as the supplies are available on daily basis against confirmed and guaranteed buying. For financially sounded and authentic buyers, sourcing and supply of copper scrap is available on regular basis subjected to availability. Also available copper wire bundle scrap. Quality and Quantity is final at loading point. Inspection is provided to confirmed buyers and authentic buyer against demand . Transportation to be arranged by buyer. Copper scrap of various quality are available for sale and subjected to unsold. The scrap is sourced from various locations in India. On demand, scrap can be stock for buyers against buying guarantees. Old and Sick Factories and Industries are auctioned and sold directly by their owners for dismantling and to collect the valuable scrap metal for recycling. 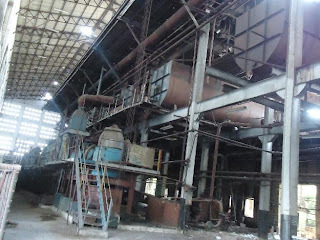 In India, the sale and purchase of old factories / industry for dismantling is a huge business. The factory / industry consists of old machinery, tanks, generators, transformers, cranes, weigh machines, chambers, pipes, gurders, angle –channels, panel boards, electric wiring, cables, etc. These all together are dismantled and scrap metal are recovered for recycling. 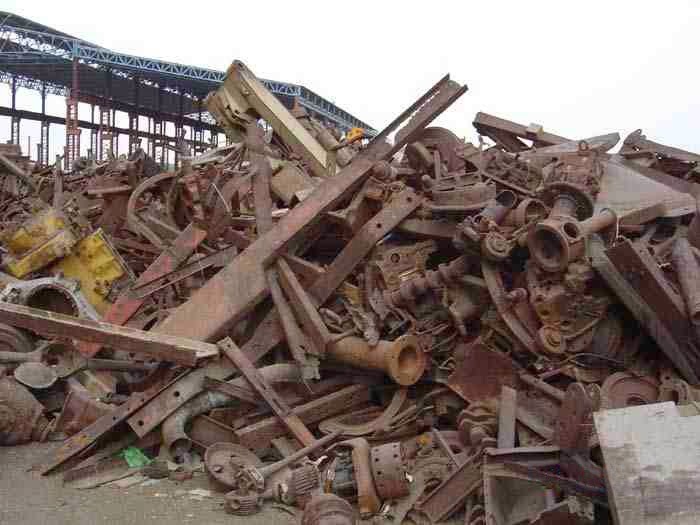 The scrap metal is sorted out as per their demand and requirements like , copper scrap metal, aluminum scrap metal, ferrous scrap metal scrap, cast iron scrap metal etc. The machinery or equipments which can be reused without dismantling like cranes, weigh bridge, generators, transformers etc are sold as per their present market value and minted money is recovered by the purchaser of the factory. The sales offer for the old / sick factories are made available either direct through owners or through banks. The valuation along with equipment / item lists is provided to buyers for calculation and negotiation. Dismantling old / sick factories and recovering scrap metal is a profitable business for all. This brings good margins to the actual owners, facilators, mediators, mandates, traders and actual users, depending, who is the investor. The metal scrap recovered from dismantling of factories is always cheaper than the market. Further the costing more can be reduced if the machinery available are reusable and has good market value. We can assist you in sourcing such factories available for dismantling in India. The quantity of recoverable scrap will be between 3000 MT to 25000 MT or above. The quantity and the scrap metal in factory depend according to the manufacturing capacity of the factory. If you have a good quantity of junk which consist of mainly metals, then you can convert your this junk into cash by selling it to the scrap metal yard near to you. The best way is to keep stocking till you accumulate a good quantity of scrap metals at your backyard. The recycling scrap metal can be right from your used electronic items, metal can or bins, used metal broken utensils, used wires etc.